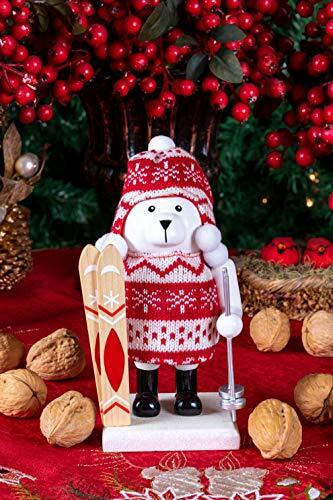 GREAT DESIGN: Featuring a fun skiier polar bear wearing a red and white outfit and carrying skiis and sticks, this piece of home decor is sure to please. PERFECT SIZE: This beautiful Christmas decor is the perfect size for any home. Measuring 3″ x 3.5″ x 7″, this will fit perfectly on a wide variety of tables and shelves so you can decorate anywhere in your home!